Blue whales have been in our area recently. Not too long ago you could have said that and most people would have been quite surprised. But it is no longer a secret, it is a fairly reliable natural history event. 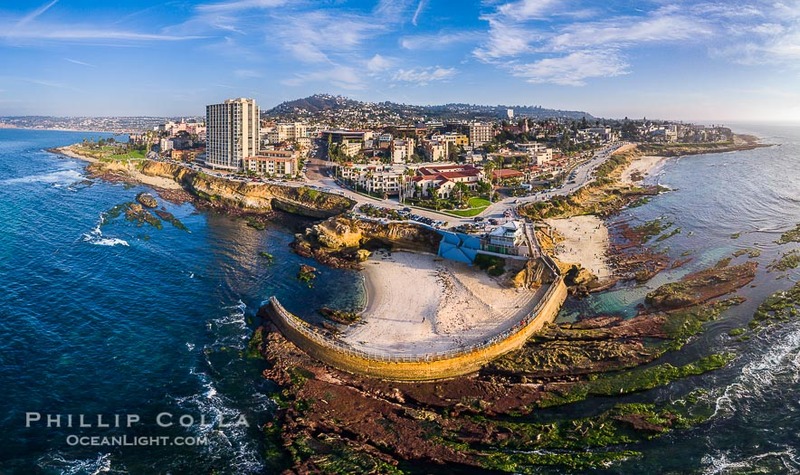 For 25 years I’ve been getting out on the water with photographer and good friend Mike Johnson to look at life on the ocean, and this year we had a little luck. Inquisitive whales came by a few times to take a look at us and I got a couple photos out of it. 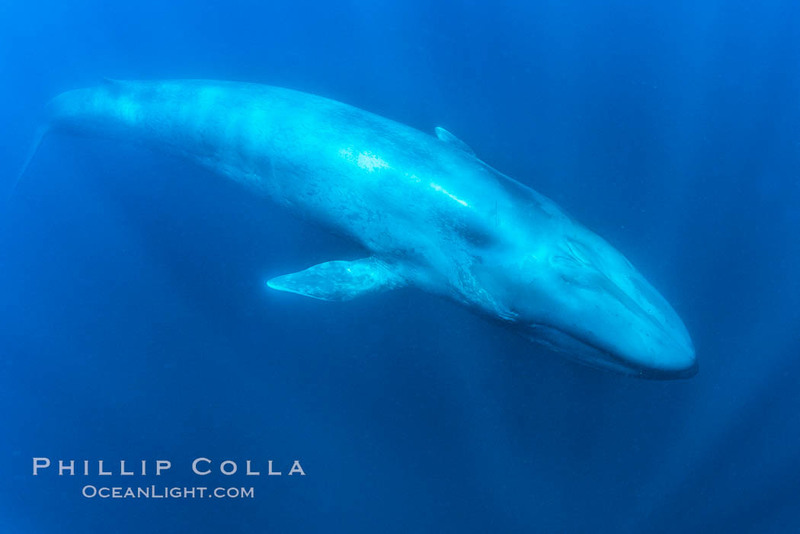 Blue whales represent the pinnacle of evolution in many ways. They are the largest creatures ever to inhabit Earth. One blue whale is larger than an entire herd of African elephants. A child can crawl through the passages of a blue whale’s heart. Who knows, blue whales may be the largest sentient being in the entire Universe — we can’t rule it out. 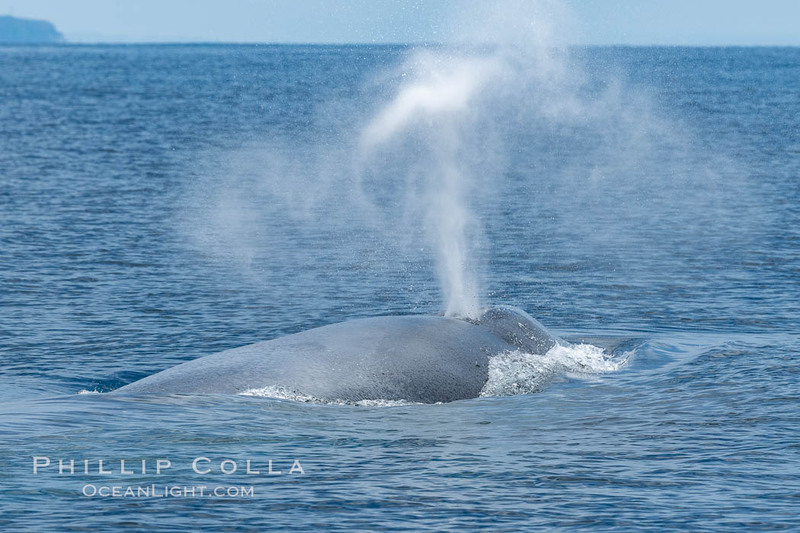 I’ve seen many blue whales, have had several blue whales look me in the eye and watched blue whales hunt krill, breach out of the water and nurse their calves. They are awe-inspiring animals. I never take it for granted that I will get to see another blue whale in my life. 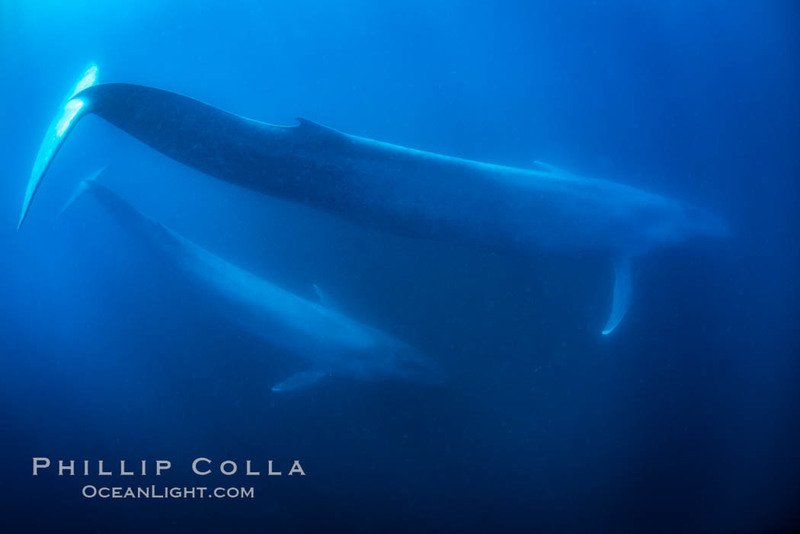 Take a look at these blue whales we saw recently. Cheers, and thanks for looking. 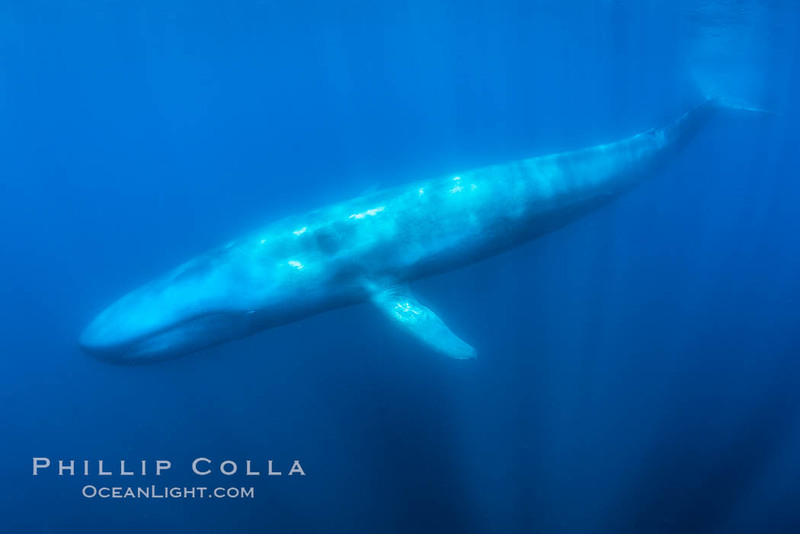 Blue whale, exhaling in a huge blow as it swims at the surface between deep dives. 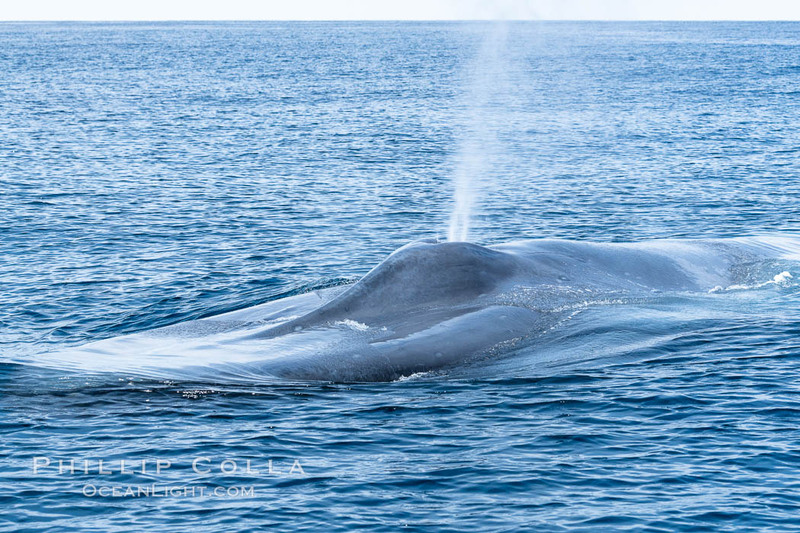 The blue whale’s blow is a combination of water spray from around its blowhole and condensation from its warm breath.